Below is the transcript of a Seven minute ‘lightning talk I gave at the recent Museums Australia (MA) ‘Meet Day’ at Sydney’s Maratime museum – a prequel to the national Museums Australia conference. The meet day, for the first time, brought together three special interest groups of MA – the Educators, Digital experts and Evaluators. 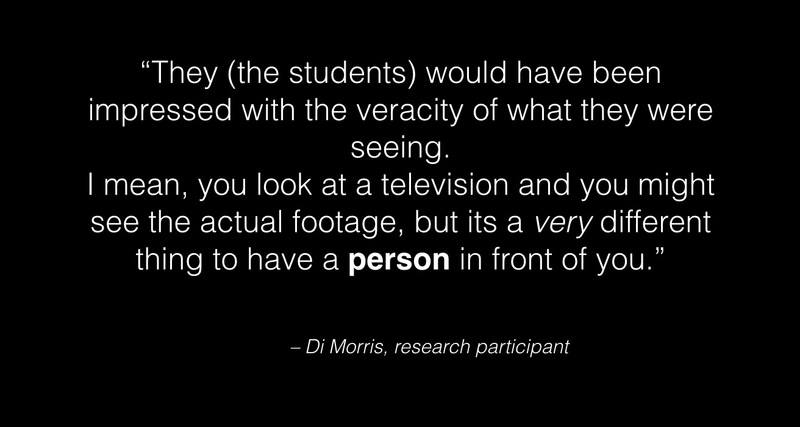 My talk addresses bridging digital divides through students creating digital stories as part of their museum excursion. 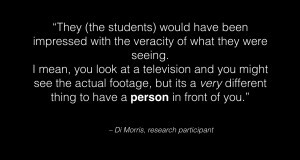 My current masters (honours) research through Griffith University is on the value of digital story telling as a learning activity for high school students visiting community museums. It was 2005 when Prensky coined the term ‘Digital Native’. Remember 2005? You might remember – Facebook was born the year before. The term Prensky also coined was ‘Digital Immigrants’ – that’s the rest of us. Even if we are digitally fluent, we speak ‘digital’ with an accent. It means technology isn’t as integrated into our lives much as it is for our kids or grandkids. For instance, my lack of gaming skills, has my13 year old son seriously worried about my real driving abilities. I think my thumbs are digital immigrants – they just don’t to have the dexterity. Poor Princess Peach! You’ll also know about digital immigrancy if you’ve ever made the move from Microsoft to Apple, or vice versa. Five years since I did, and my Microsoft accent is still thick. At the small, Gold Coast, volunteer run Mudgeeraba Light Horse Museum, where my research is focused I run digital story programs. Students come, learn, create digital stories and showcase them at the end of the day. These days are very fast paced. Students can choose what to focus on, from a vast range, and they are using well practiced i-pad skills. The average age of volunteers at the Mudgeeraba Light Horse museum where my research is focussed is 73. The majority turn 80 next year. Most have access to a computer, and email, and even some of the senior volunteers are starting to get i-Pads or smart phones now. But it wasn’t the case when we started the digital storytelling programs. The thing is, they keenly participate in these Digital storytelling excursions. They intuitively know it’s important for the museum, and for the kids. I’ve decided they are ‘Digital Foreigners’ or perhaps ‘Digital Tourists’. It’s like when you visit another country. You might learn a few words or phrases to get by – hello, please, thank-you,how much? But that’s it. You are passing through, and not knowing the language isn’t really going to effect your life too badly. And that’s perfectly fine. Digital foreigners speak a kind of ‘Pidgen digital’. The metaphors could go on, but the point is the digital divide. And get used to it, it’s not just oldies. There’s a digital divide between students in year 12 and those in prep. I suspect the buddy systems in K to 12 schools are as much about the littlies teaching the seniors digital fluency as socialising the younger ones. Its the young ones who have the iPads. Don’t think that when the World War 2 generation have gone, the techno divide will cease. It will only get wider and more diverse. Grade 8s program ardurinos (controllers) to build robots, Grade 7’s create artefacts with 3D printers, primary schools have green rooms for media productions. This is all happening in state schools. I am so jealous! Even if you are as ancient as 30 years old, school is quite different now. When Prensky wrote of digital natives in 2005, he was writing about the undergraduates then, they’d be thirty something now. And with us all being ‘Cultural workers’ we know, the big changes aren’t about the technology itself – the huge changes are socially. It’s about what we do day to day, and about all our relationships. So what can these Digital foreigners in museums teach these i-pad natives arriving at the door? If the foreigners say, ‘welcome, please bring your iPads, let’s make some history’, very exciting things happen. Excitement comes from what my first research participant calls, enos theos – the god within. She says, ‘If you teach from the God within, if you teach from your love, your enthusiasm will carry through’. The seniors volunteering at the museum have this enthusiasm in spades. They desperately want children to feel what they are feeling. You can’t make a digital story about someone’s experience, without truly listening to their story. And, great excitement also comes from a story remembered and retold. The many truths that lie within those stories can then be absorbed, replayed and understood – over time. Our federal opposition leader, Bill Shorten, was talking this week about kids learning programming from prep onwards. The sentiment is fine, but I’m not sure that’s what’s needed. I think what kids really need from early on, is learning about communicating digitally in multiple modes – words, imagery, sound, music, gesture, touch. Most these things come naturally before reading anyway. They need to effectively communicate meaning and emotion, personally and digitally: to have these multiple literacies, and to discern the messages bombarding them each day as they swipe their iPads, headphones on – to be media savvy… This is what the new literacies are about. Not passive, but active participants. Creators. 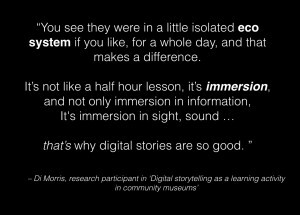 My formal research is just beginning, and first interviewee is Di, former teacher, current writer of stories, volunteer at a digital story day at the museum, now herself a creator of digital stories. 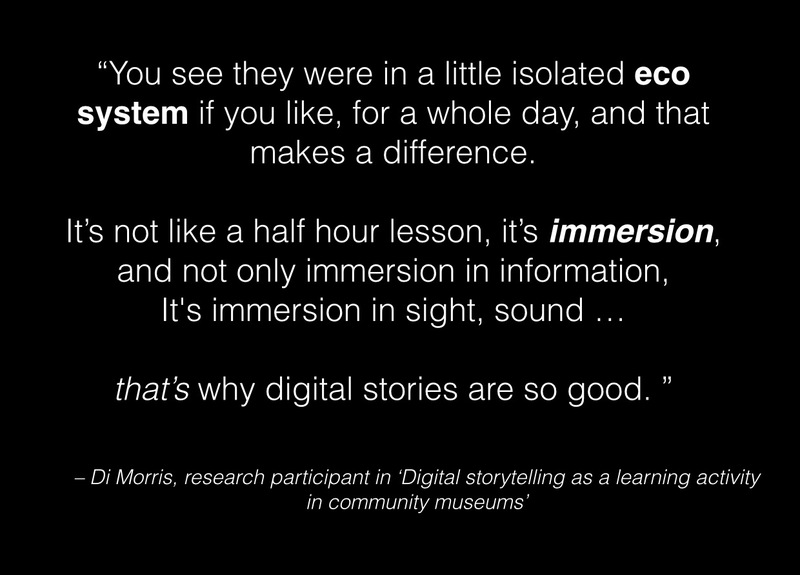 I leave you with a little of what she said about Digital storytelling in the museum. 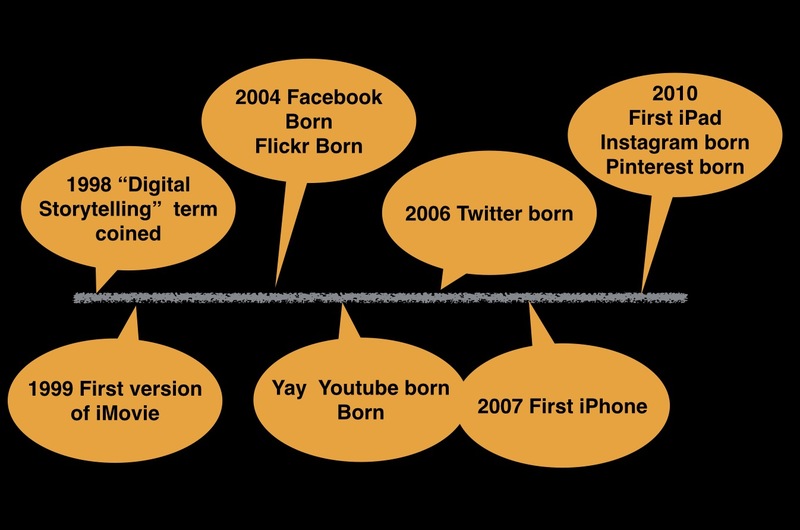 Reference: Prensky, M. 2005, “Digital natives, digital immigrants”, Gifted, no. 135, pp. 29-31.